Bill's Accuracy Shop is a precision gunsmithing service. We work in two broad areas: match rifles and accurate hunting guns (primarily rifles but including single-shot and bolt-action pistols and card-shooting shotguns). We specialize in building custom rifles on popular actions, and in making existing rifles more accurate (for a little philosophy, see What makes accuracy?). Every gun that goes out of Bill's Accuracy Shop meets the same high standards. 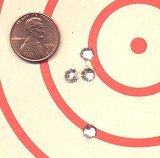 When finished, it must "shoot"  and that doesn't mean it simply goes bang when you pull the trigger, it means that it must shoot very well (within the limits of the gun, cartridge, and shooter). For many jobs, we offer an "It shoots better or you don't pay" guarantee. In addition to our custom rifles, we offer custom cartridges and competition shotguns. Our gunsmithing services cover a wide range of interests; see Examples of our guns for some idea of the scope. Our standard services are listed in Prices and Services. We welcome you to contact us about any of our services, our qualifications, and our guarantee. 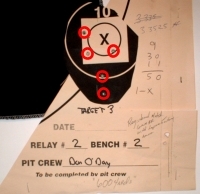 Shooting by Bill Truitt with his personal rifle, a Shilen action with a Shilen barrel. 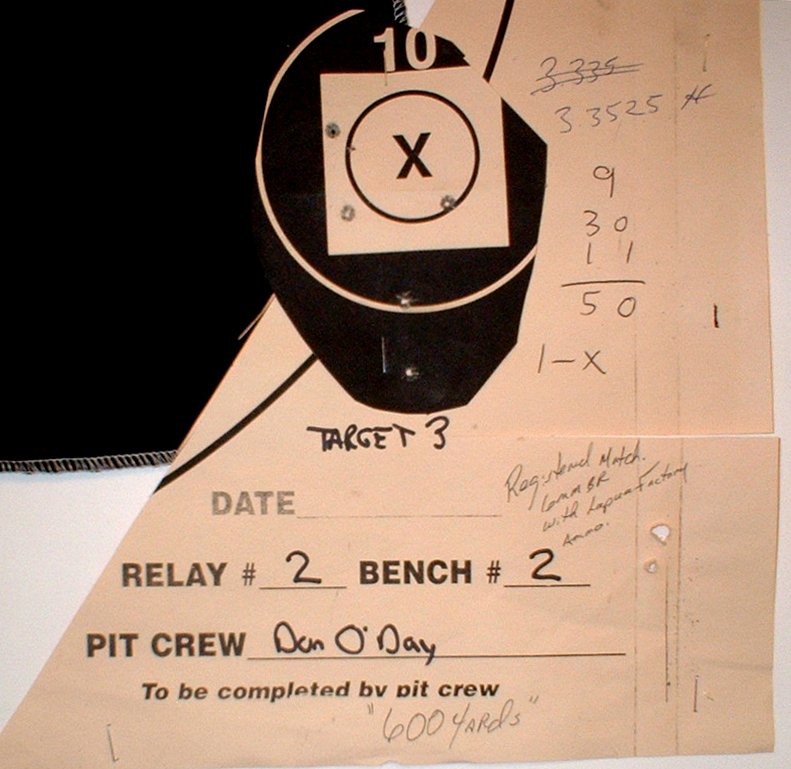 Targets shot and scored in a 300-yard registered match using a .22 Bench Rest (a .308 case shortened to 1.5 inches, and necked down to .22) using Berger 52-grain bullets with Vihtavuori N-130 powder. The 52-grain bullet travels at 4000 fps; barrel life is about 2000 shots. The rifle that shot these groups was built for a customer, a busy professional who loves to shoot but has no time to load his own ammo. 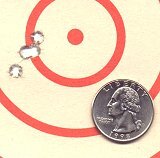 It was specifically designed to shoot factory ammo accurately, and this is the result with Lapua factory loads in 6mm BR. He finished 6th of 38 shooters at his first match with the new rifle!